87,109 page views over twelve months, updated daily. 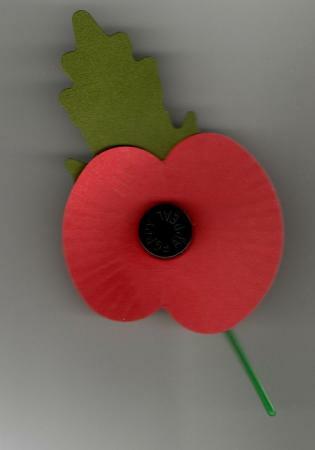 Home » Village History » Rothley War Memorial » BRAMMAGE G.H. Killed in action on the 28th September 1917 in the France and Flanders Campaign aged 23 years. 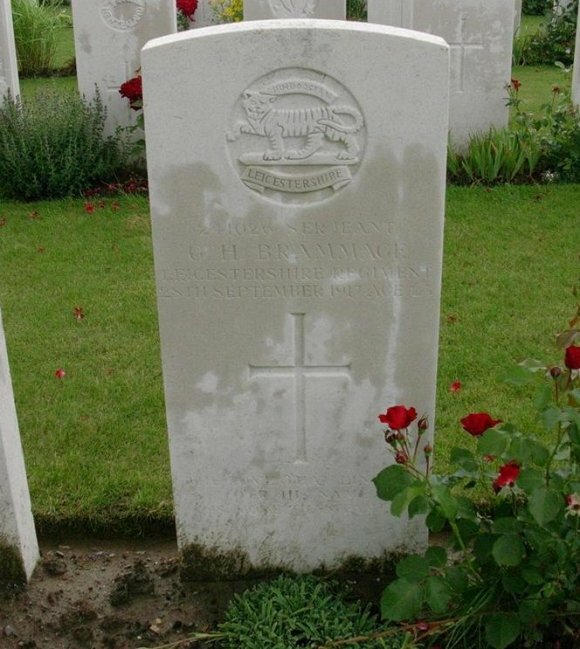 Sergeant Brammage was re-buried in the Dochy Farm Cemetery, Langemarck, Belgium. 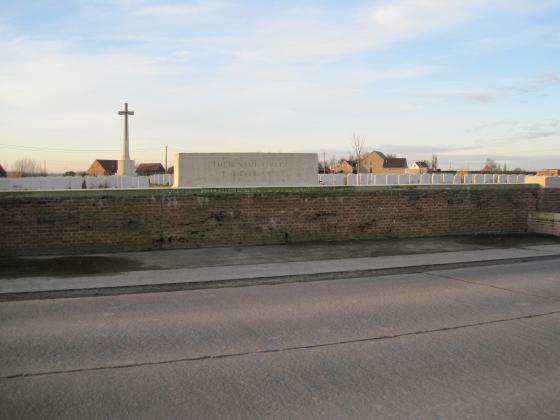 The cemetery at Dochy Farm was made after the Armistice when isolated graves were brought in from the battlefields of Boesinghe, St. Julien, Frezenberg and Passchendaele. The bodies were exhumed and re-buried in 1920. Out of 1,439 burials 958 are unidentified. Sgt. Brammage, identified by his disc, has a known grave with an inscription 'THE LOVE THAT LINGERS OE'R HIS NAME IS MORE THAN FAME'. Son of George and Edith Brammage, brother to Elsie F, Leonard and Albert. 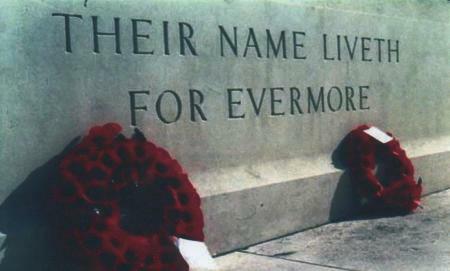 George Brammage..
Named on War Memorial, Parish Church Roll of Honour, Parish Church Triptych Roll of Honour and Mountsorrel War Memorials. The battalion were occupying the trenches at Bank Farm on the 25th September before moving to Elm Tree Corner in the early hours of the 26th. From there they went over to capture enemy positions on Hill 37 where fighting continued until the 30th. HILL 37. Shelling not quite so heavy as previous days. Period of comparative quiet. Back areas bombarded with high explosive and gas shells at night. 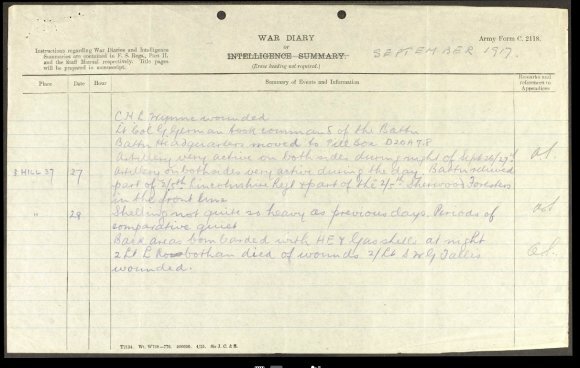 2nd Lieutenant L. ROWBATHAN died of wounds, 2nd Lieutenant S.W.G.TALLIS wounded. 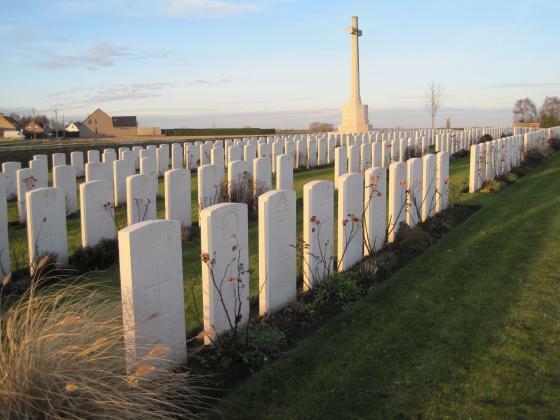 The cemetery was made after the Armistice when isolated graves were brought in from the battlefields of Boesinge, St. Julien, Frezenberg and Passchendaele. XHTML 1.0 validated. WCAG compliant. Page generated in 0.1168 seconds.